It’s such a thin line between trying to be a loyal employee and committing a felony. We can only assume that’s what (now-former) OpenTable employee Steven Addison was trying to do as he booked hundreds of Chicago restaurant reservations under fake names via a rival reservation service, “costing them thousands of dollars in lost sales,” according to The Chicago Sun-Times. 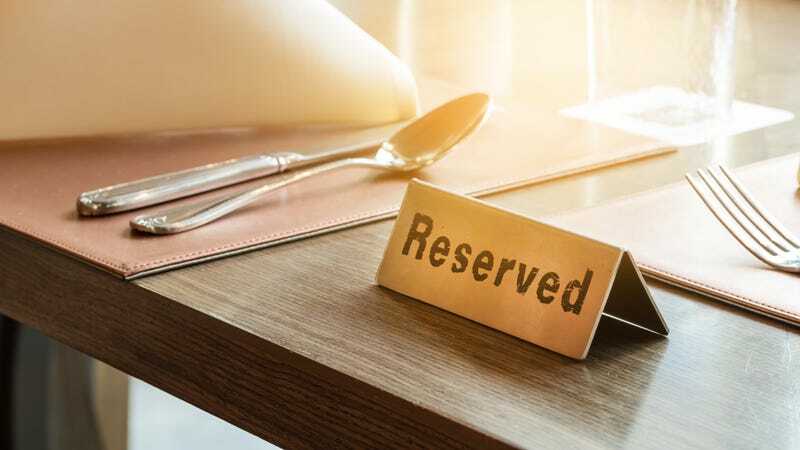 As an enterprise operations specialist for the online reservation service OpenTable, “the 30-year-old Chicagoan made fake reservations at restaurants in the city that were using a competing service called Reserve, according to prosecutors.” Between November and February, he used names like Jimmy Smits and Hans Gruber to fill reservations on traditionally busy nights like New Year’s Eve, anticipating the businesses “would suffer financial losses when no diners showed up to claim the reservation.” His more than 300 fake reservations wasted about 1,200 restaurant seats in 45 Chicago restaurants before Reserve “caught on to the scam.” OpenTable offered to reimburse some restaurants for lost revenue and gratuities. Addison was not only fired, but charged with one count of wire fraud in U.S. District Court. The Sun-Times says he could not be reached for comment, but is expected to appear in court tomorrow.